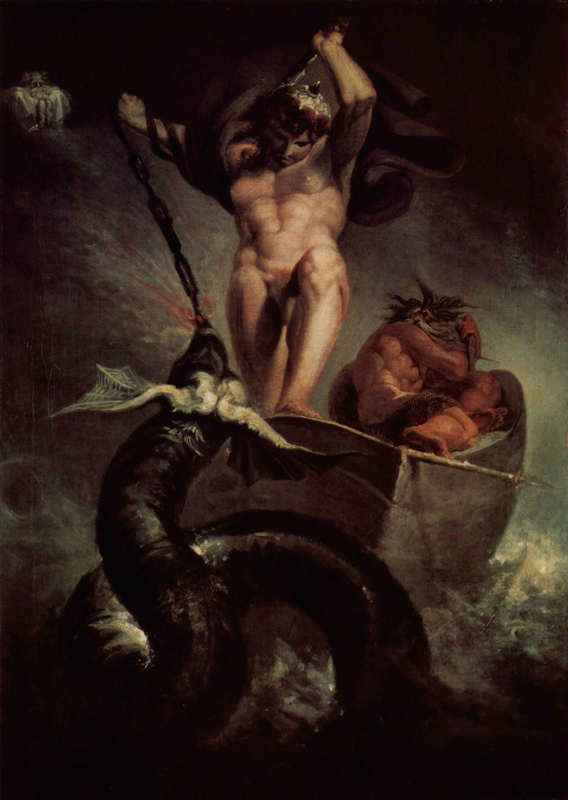 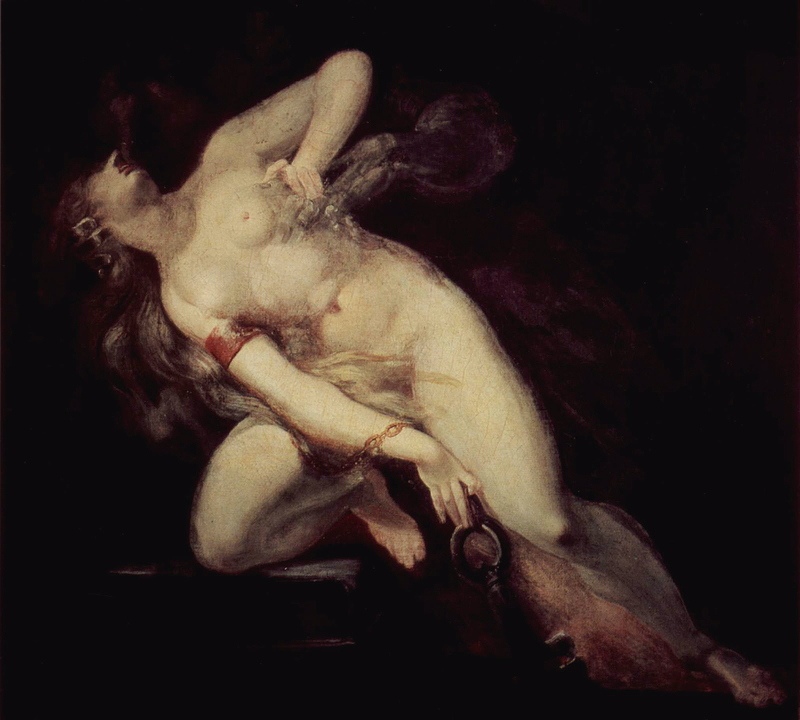 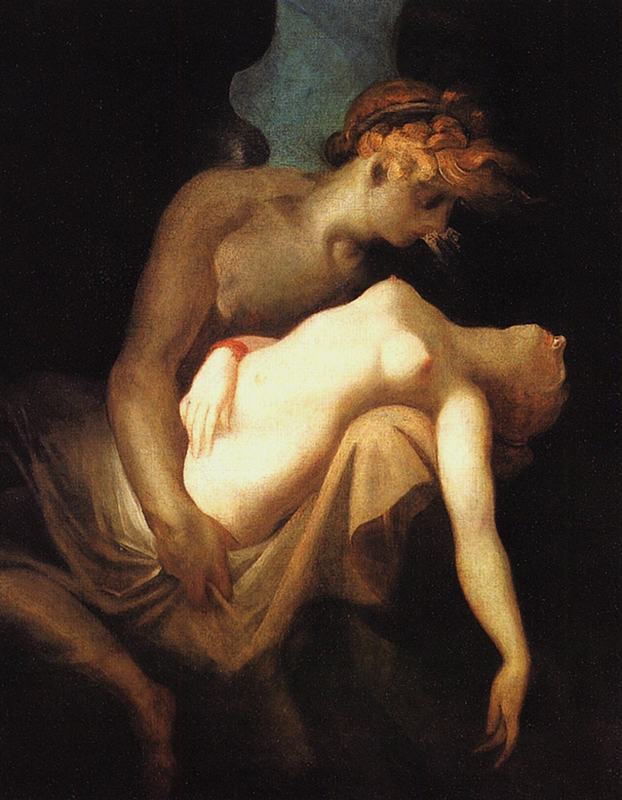 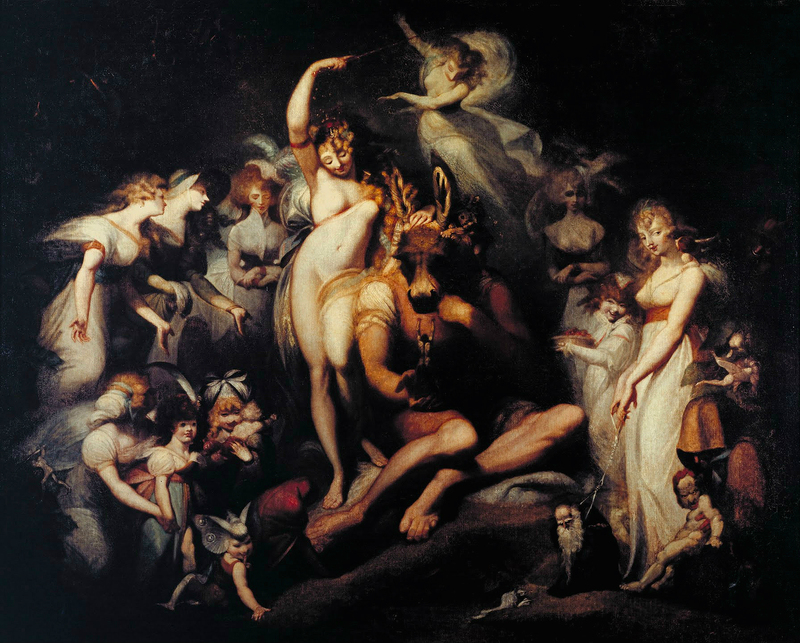 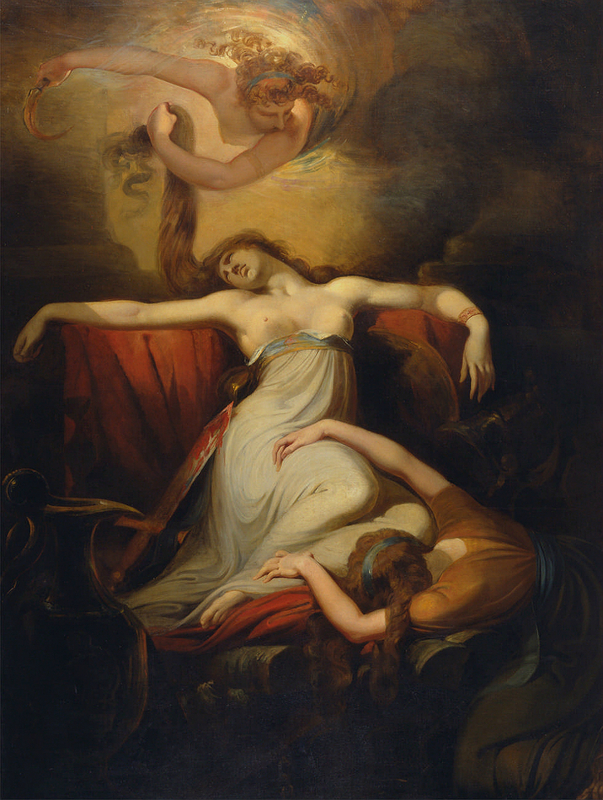 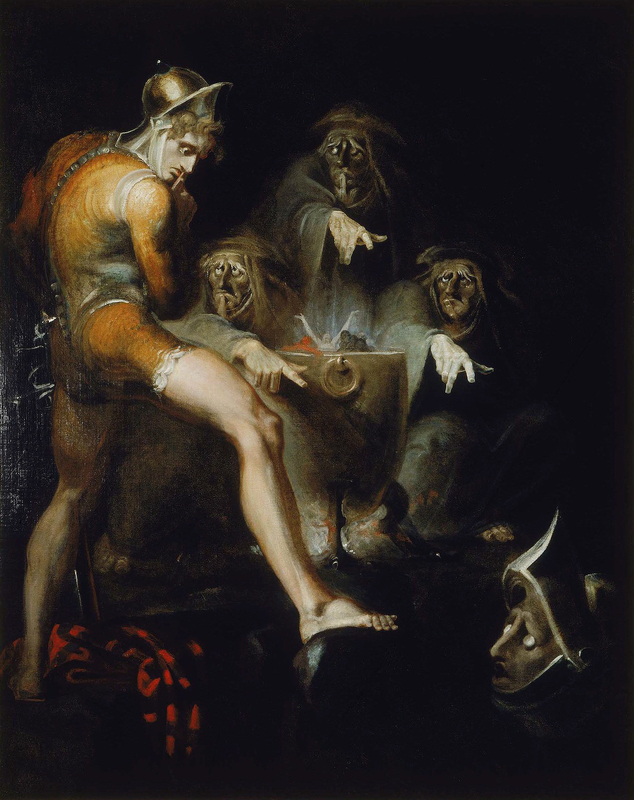 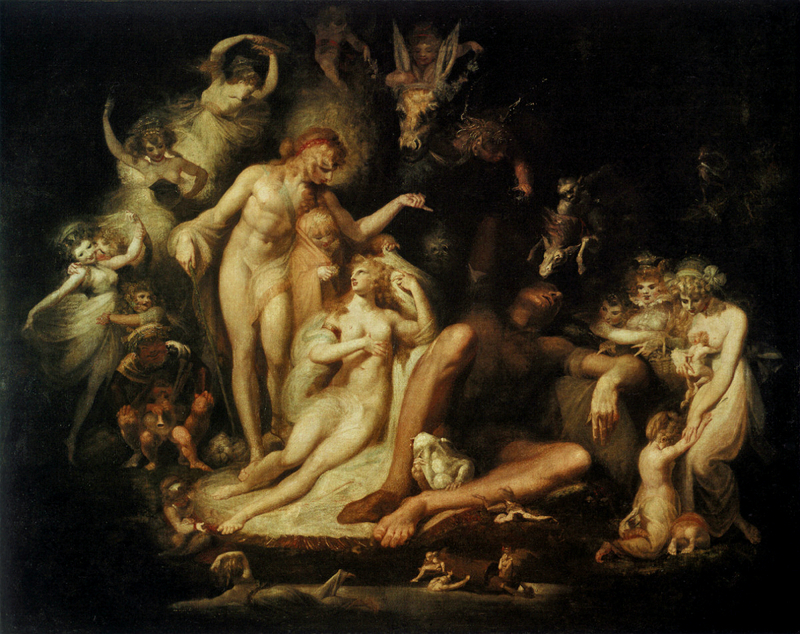 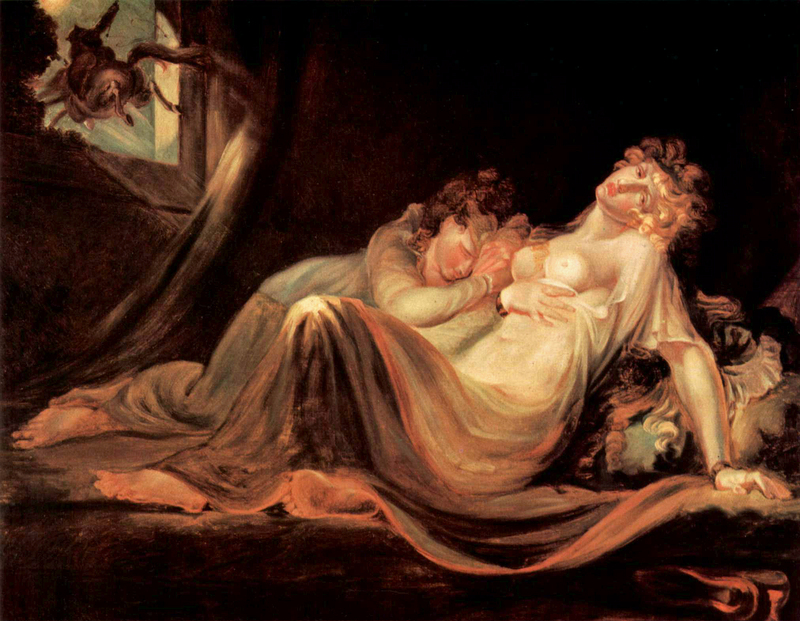 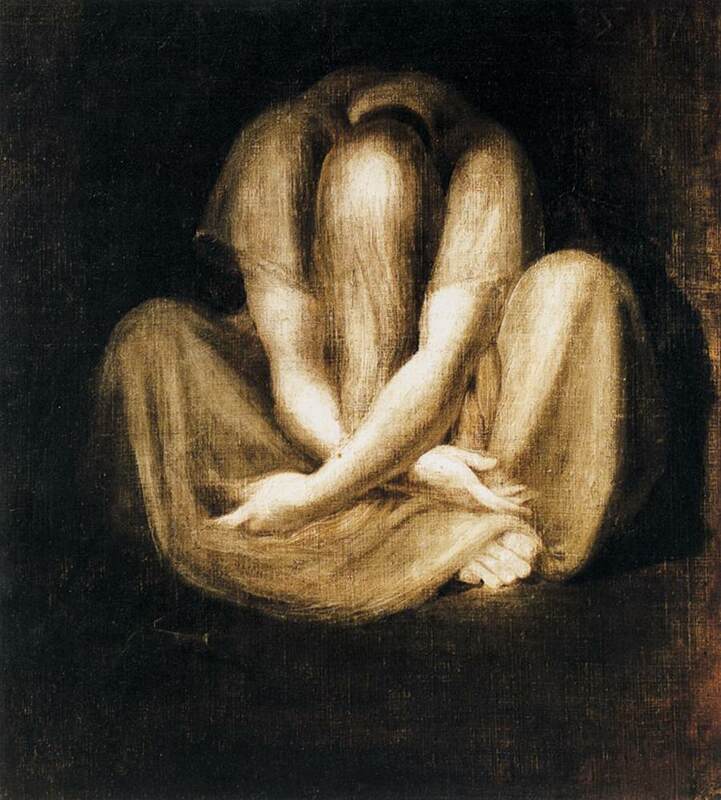 Few artists have delved so deeply into the darkness of the human psyche as Johann Heinrich Füssli, better known as Henry Fuseli, whose very works are like nightmares realized in oil on canvas. 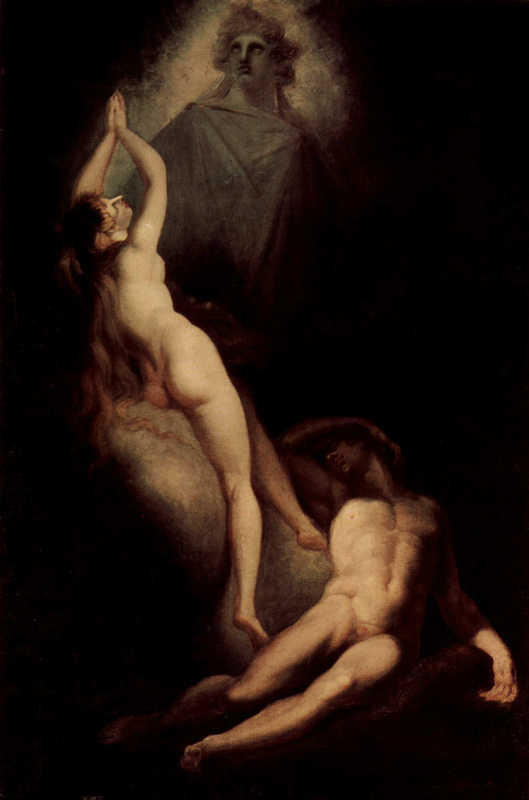 Painted with all the mystery, eroticism, horror, and symbolism that was typical of the Romantic movement, Füssli’s paintings are profound explorations of myth, memory, and dreams, and they provided inspiration for the latter Symbolist and Expressionist genres. 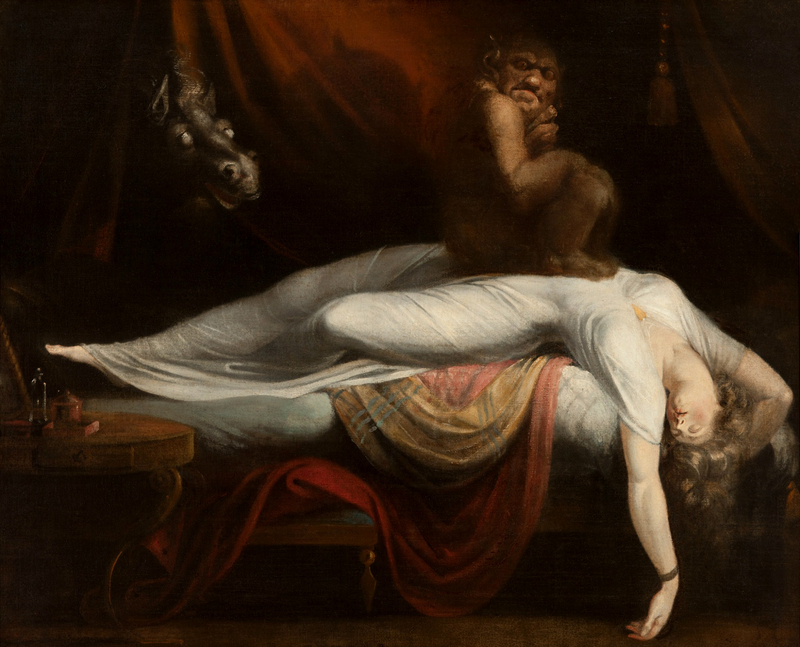 As examples of both beauty and grotesquerie, these images fill the mind with simultaneous dread and desire, exciting the senses with a dichotomy of anticipation and apprehension. 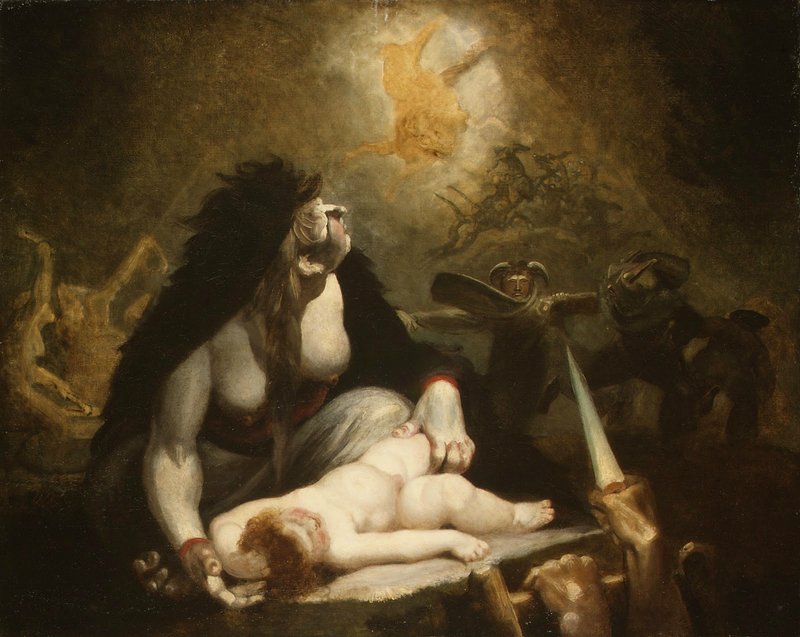 Modern day art scholars and psychoanalysts recognize the use of archetypal symbology in his work, which might explain the strange enigmatic allure of his grisly depictions of death and decay, violence, and sensual desire emphasized all the more by the stark contrasts of chiaroscuro. 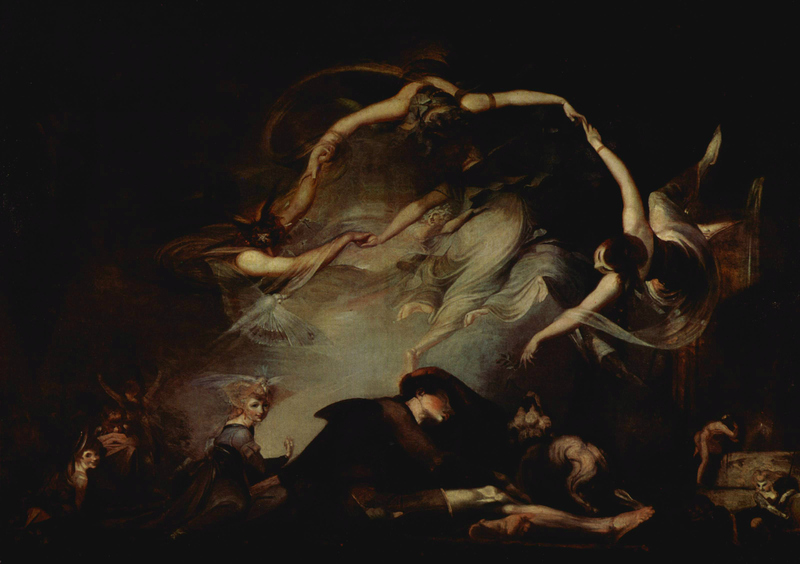 Whether this was Füssli’s exact intention or not is difficult to say, but he undoubtedly navigated his own world of fears and longings in the creation of his most impressive pieces, transcending Romanticism and essentially birthing Dark Romanticism. 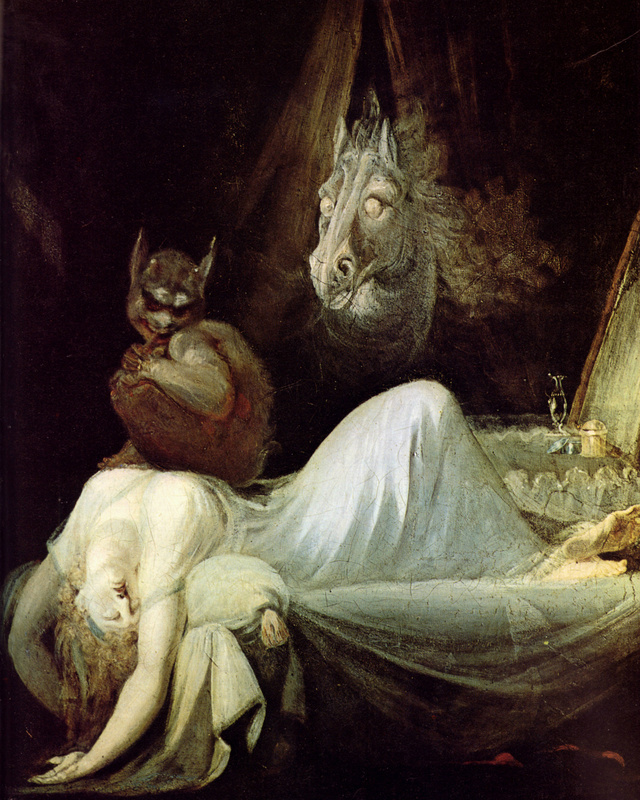 Füssli is, for me, a master of the macabre.